Teardrops. 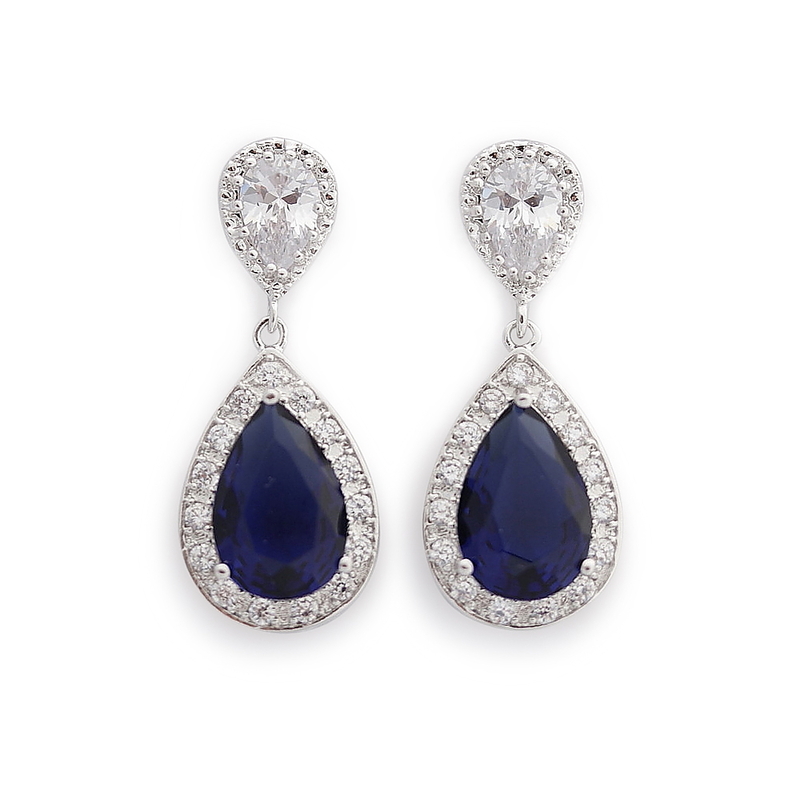 True to their name, teardrop earrings are shaped like a teardrop or dewdrop. 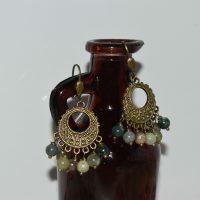 These earrings are generally made from solid gold, silver, or gemstones. They are designed to dangle below the earlobe. Teardrop-shaped earrings that feature extensive surface adornment are usually sold as dangle earrings. Dangles. Dangle earrings are those pieces which dangle below the earlobe. They may be composed of beads, rounds, squares, curved pieces of metal, or die-cut metal designs. Dangle earrings are available in both wide and narrow styles. 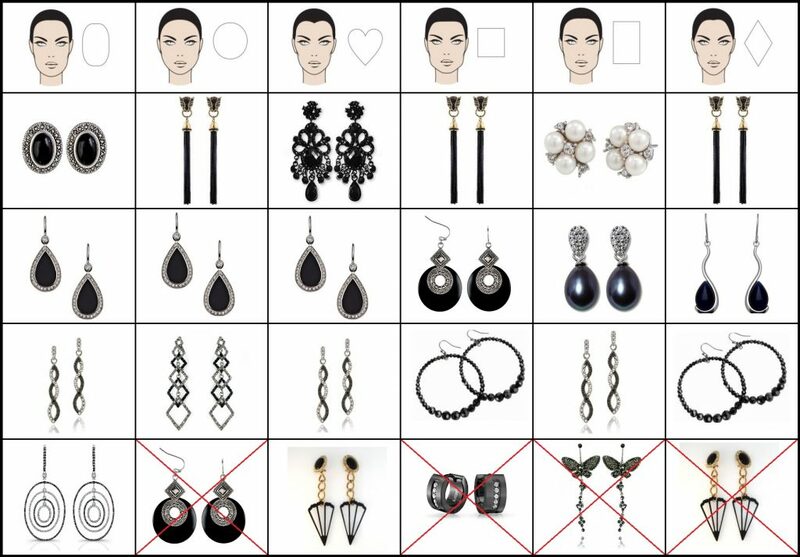 Pay close attention to the width of a dangle earring as different widths are suitable to different face types. Studs. These classic earrings are composed of a single stone, ball, or small design that sits directly on the earlobe. 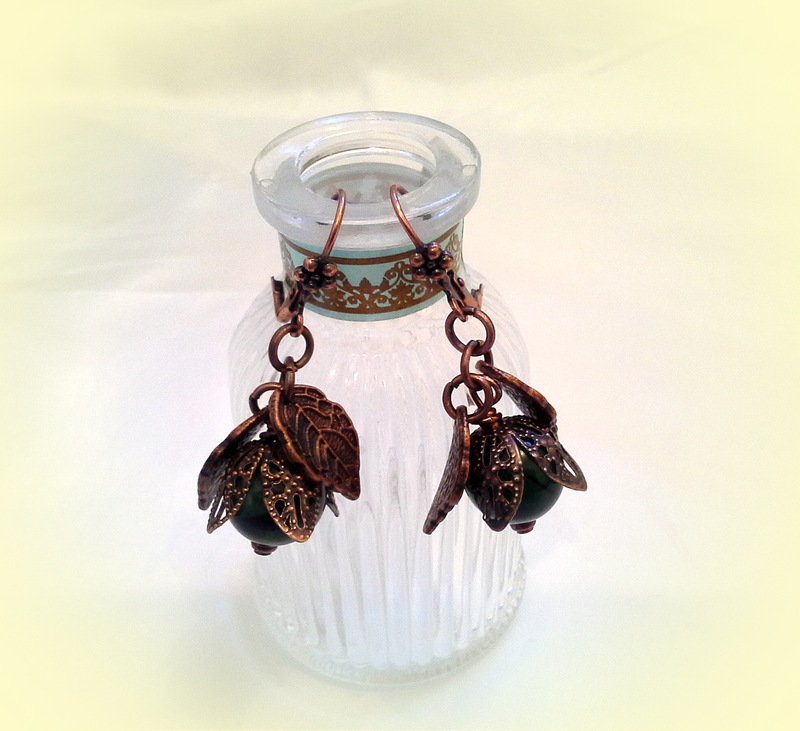 They feature traditional earring posts. Pearl earrings that sit next to the ear may be described as stud earrings. These styles look good on every face type. Chandeliers. 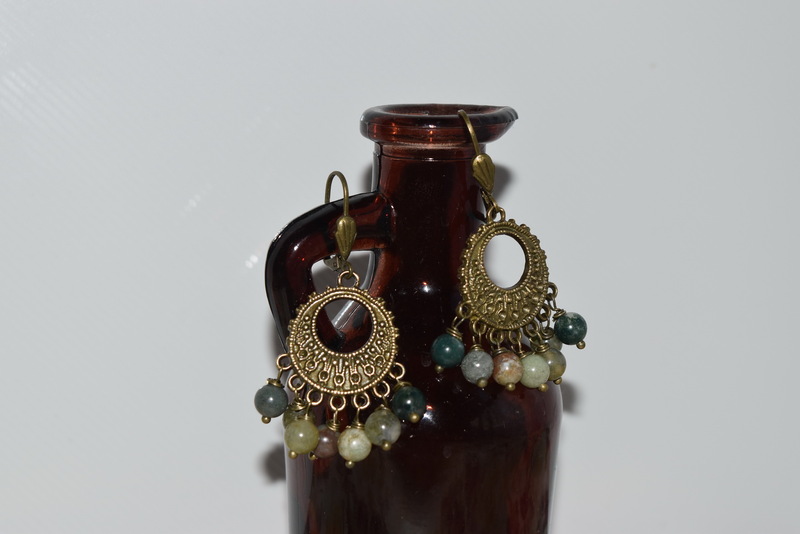 Chandelier earrings combine the design elements of stud and drop earrings. These earrings feature a decorative stud that sits on the earlobe and a component that dangles below the earlobe. 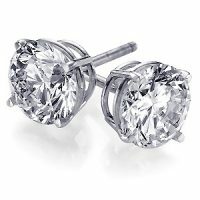 Many of these earrings widen below the earlobe and then taper back to a small point. Hoops. 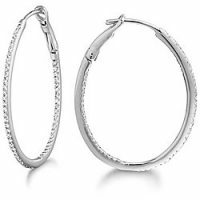 These classic earrings are made from rounded or flat pieces of metal or plastic that run from the front to the back of the earlobe. They are available in a wide variety of circumferences and widths. Huggies. 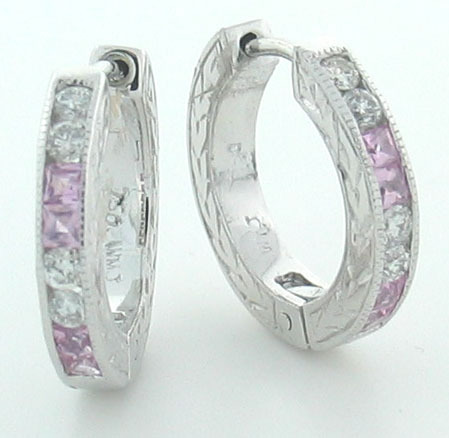 Huggie earrings are very similar to hoop earrings but are usually much smaller. These earrings generally have a wide, small hoop that clamps onto the ear with a post or clip-on mechanism. They are made from both plastics and metals. Cluster. 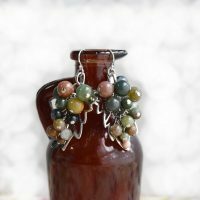 Cluster earrings sit on the earlobe but feature clusters of gemstones, rhinestones, or other decorative elements that may extend beyond the bottom of the earlobe. 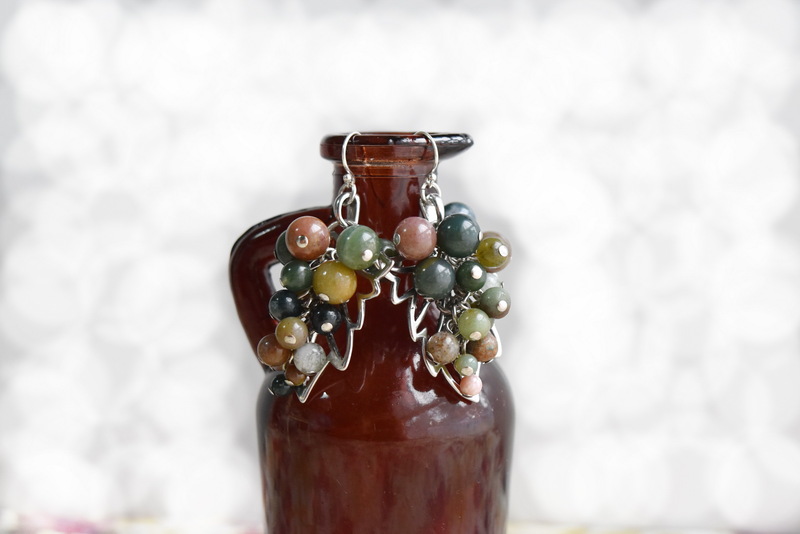 These earrings are best suited to dressy events as they tend to be very flashy.